I have a 3D model which I have processed in Blender to remove doubles, triangulate, recalculate normals and export to STL. 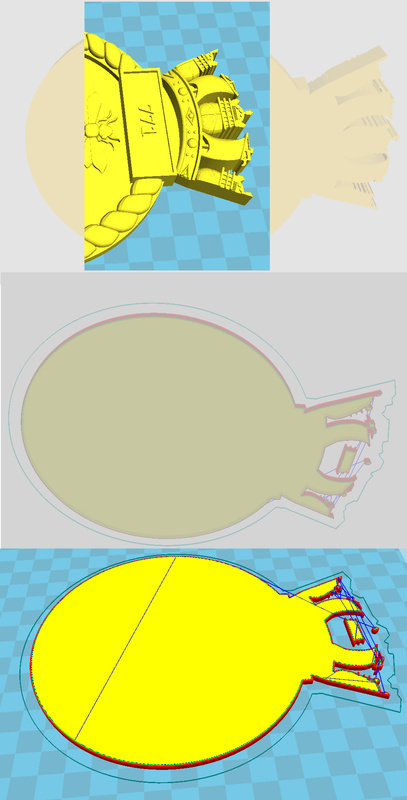 The STL file imports just fine in CURA and in normal view looks perfect, but when I switch to layer view, and indeed actually print it, the print is missing out part of the base. If you look at the images below you will see what I mean. Look at the crown and how the middle section isn't fully printed. The top part of the image shows the model in normal view and the bottom two show the layer view. Does anyone have any advice or suggestions on how I can fix this? How does it looks in Xray view? HAve you tried enabling some of the fix horribles parameters in expert panel?